Innovation is the center of what Upper Deck Authenticated does. From the line of Tegatas to bringing the world’s best athletes together in one designed piece to the unique line of Breaking Through pieces, UDA continues to push the envelope when it comes to creativity. The Show is one of the most popular pieces for each athlete we have. 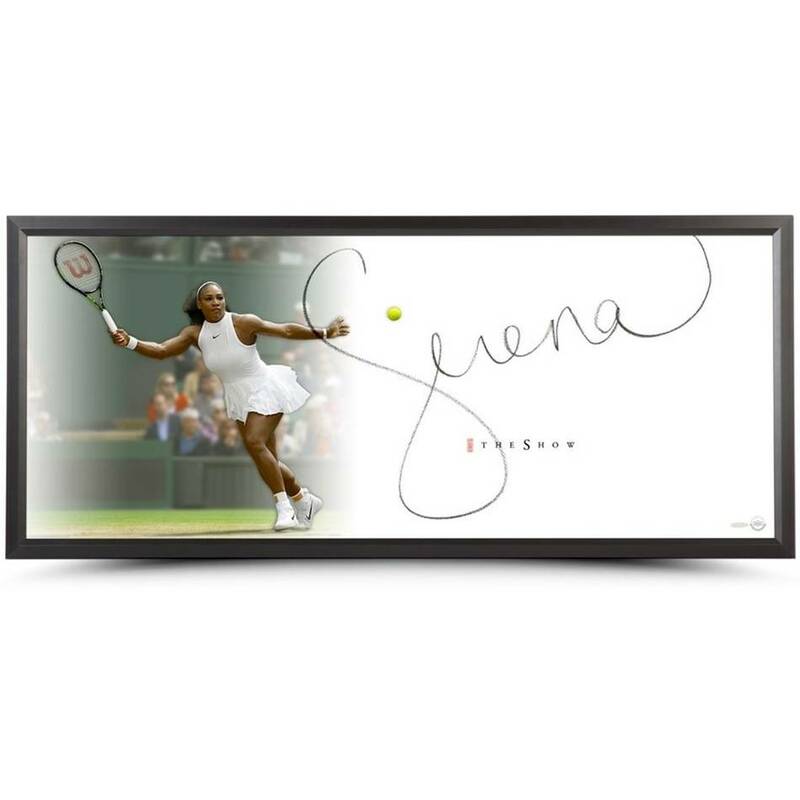 Featuring what’s widely considered the respective athlete’s largest known memorabilia signature, The Show also includes an impressive action image printed on a large acrylic layer. The image showcases her forehand at Wimbledon, a tournament she has won 14 times (seven singles, six doubles, one mixed doubles) in her career heading into the 2018 season. Her signature is the centerpiece of this UDA-designed piece of sports art.